Not hiring an accountant can often be an expensive mistake. A good accountant can provide expert advice and save you thousands of dollars in taxes. When starting your company, the last thing you want to do is spend unnecessary money. Thanks to money constraints, many freelancers and startup owners often view accountants as an expensive luxury, believing instead that they themselves have the knowledge to fill out and file the necessary paperwork. However, not hiring an accountant can often be an expensive mistake. 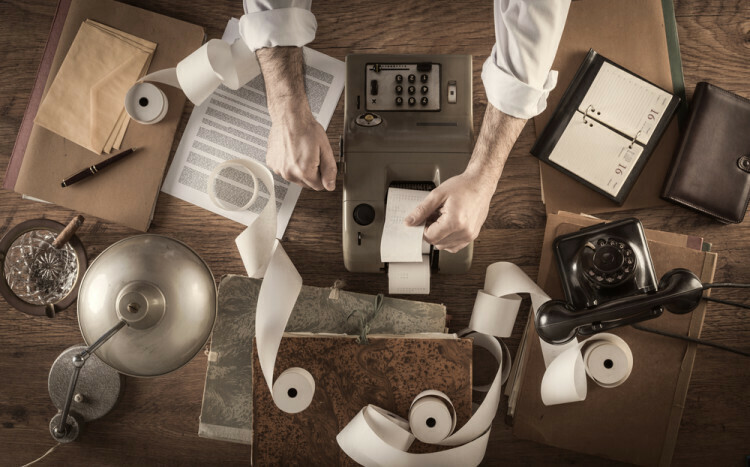 A good accountant offers much more than filling out and filing forms; they can provide expert advice and information, help you to grow your business, prevent your from running afoul of the IRS, and save you thousands of dollars in taxes. An accountant can bring a range of benefits to any startup. There are the obvious ones such as navigating the mountains of paperwork and cutting through the red tape new businesses are faced with, but this isn’t all. A good accountant should do more than just balance the books. You’re not an accountant. As a business owner, your time is your money. Hiring an accountant buys you time to focus on your business. A useful rule of thumb is to compare your hourly rate to the cost of an accountant. If you charge $100 per hour, and your accountant charges a flat fee of $100 per month, that is $100 well spent because it’s unlikely that you can complete your monthly accounting chores in a single hour. When you are an employee, it’s easy to remember the tax deadline—there is only one, April 15th. If you’re a freelancer, you have to file taxes quarterly: the 15th of April, June, September, and January of the previous tax year. That’s a lot of deadlines to keep track of, on top of your client deadlines. If you don’t keep track of those dates, the IRS will charge you fines and penalties. Can you afford all of that time and the penalties and fines if you miss a deadline? If the answer is no, an accountant is a legitimate business expense. The American tax code is not set up to benefit individuals; it’s set up to benefit businesses because businesses are job creators. The tax code is also quite complicated. So while you have created a business entity, you will not reap the tax benefits unless you understand the tax code. The tax code also changes often so even if you understand something now, in a year, the code may be different. Your accountant knows the tax code and stays up-to-date on changes to it and will ensure that you are getting the maximum benefits. It’s difficult enough keeping track of personal expenses. Throw a business into the mix, and it gets even harder. Your accountant can help you monitor your expenses and help you keep personal and business expenses separate. The IRS does not look kindly on business owners who mix the two. Doing so may trigger an audit, and the burden of proof is on you to show the questionable expenses were indeed business related. Growing the business is the priority for all business owners. Your business is your baby, and that can affect your objectivity. Your accountant will take a dispassionate view of your business and can give you objective advice on the best ways to grow it. If you’re at the point where hiring employees makes sense, your accountant can also walk you through the process. An LLC, an S-Corp, a C-Corp. What do they all mean and which one is best for you? Your accountant will discuss your business objectives, finances, and circumstances to recommend which will be the most beneficial for you. Some accountants will also make sure you have filled out the forms correctly and file them on your behalf. Incorrectly filled out or filed incorporation papers can cause unnecessary delays to taking advantage of the tax benefits of incorporating. As mentioned, you will need to pay estimated taxes quarterly. To calculate your federal quarterly estimated tax payments, you estimate your adjusted gross income, taxable income, taxes, deductions, and credits for the calendar year. Do you feel confident submitting these? If not, then you need an accountant. Do you have a home office that you take a deduction for? Are you aware that for a home office deduction to be legitimate it must fall under the IRS’s definition of “exclusive and regular use?” So if you also use your home office as a guest room, you can’t take the full home office deduction. It’s things like this that make having an accountant so valuable. It’s not your job to know this—it’s your accountant’s. Your accountant can provide you with reports throughout the year so you can monitor your financial progress and make adjustments where necessary. Waiting to do a big year-end review means you will not be aware of things like outstanding invoices when they happen. Chasing client money is always a chore but chasing money that is nine months late is much more problematic than chasing money that is one month late. Once your business becomes profitable, you will want to pay yourself. You can draw a salary and or a draw based on the structure of your business. Doing so will require withholdings for Social Security, Medicare, federal income taxes, and state income taxes if your locale requires them. This adds another layer of complication to your taxes which your accountant can help you navigate. See Also: When Is the Right Time to Pay Yourself a Salary? As you can see, hiring an accountant is a wise business decision. But how do you find a qualified one? Personal recommendations will be the best place to start. If you are a member of any professional organizations, ask fellow members if they can refer you to a good accountant. They will be familiar with the accounting needs of fellow freelancers and small business owners. Once you have a few leads, it’s time to do some research. You wouldn’t trust your health to an unqualified doctor, so don’t trust your business to an unqualified accountant. Make sure your accountant is qualified through one of the main accountancy bodies such as the Association of Chartered Certified Accountants (ACCA), the Institute of Chartered Accountants (ICAEW or ICAS) or the Chartered Institute of Management Accountants (CIMA). Also, double check that the accountant has sufficient cover for those times they are unavailable, and access to specialist advisors. A good accountant is a partner; they support you and your business all year long, not just at tax time. Things change fast when you own a small business, so partnering with a proactive accountant is the only way to make sure that you are taking advantage of all possible tax savings. You will have a lot of questions when starting your business and you can ill afford to be nickel and dimed by your accountant. A fixed fee arrangement will ensure that you don’t receive a ten page itemized bill. Be sure to understand which services are available and which are not under this arrangement. As a freelancer or a small business owner, you may be comfortable conducting a lot of business online, and there are accounting firms that offer online services only. However, that’s not the best approach for hiring an accountant. You want to build a relationship with your accountant, so they understand the specific needs of your business. Because the relationship will be a close one, make sure you choose an accountant with whom you get along well. You will be working closely together so you want to hire someone you can trust and are comfortable with. Whether you are on the brink of entering the business world, are newly incorporated, or have been running your business for some time, an accountant is a good investment. The earlier you partner with a good accountant, the better for you and your business. Rachel Smith is a technical writer for Nixon Williams and loves to watch films in her spare time.